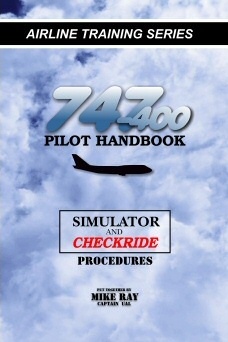 This is "THE" book for the transitioning or up-grade airline pilot. It has also been a favorite for those flight simmers who want a complete flight profile from Cold-Dark to Parking/Secure. This is it. Everything that the layflat coil bound version has ... but it is cheaper. 6" x 9" and about 380 pages crammed with graphics and detail. Contains EVERY step from the cold-dark start to the shut down and secure checklist.